Dubai, UAE, August 07, 2018: The Middle East Facility Management Association (MEFMA), a non-profit association that provides a dedicated platform for facilities management (FM) professionals, wider construction industry stakeholders, and owner associations, reaffirmed its commitment to nurture and guide entrepreneurs as well as promote innovation in the regional FM industry through proper skills development and effective knowledge sharing. 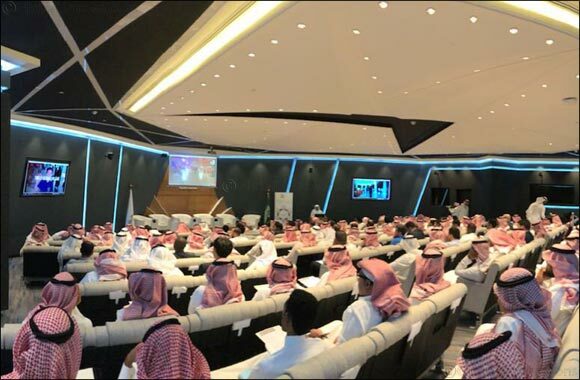 MEFMA made the statement during the conclusion of a workshop it recently organized entitled, ‘Entrepreneurship in Facilities Management,’ which was held recently at the Al Mugairen Hall, Riyadh Chamber in the Kingdom of Saudi Arabia (KSA). The event was attended by 200 officials and senior executives from different entities within various sectors. By reaffirming its mission, the association sought to underscore the importance of an entrepreneurial spirit, innovation, high-level awareness of the latest FM trends, and an empowered FM community in the region through careful and regular assessments of the industry’s capabilities and services. This way, MEFMA senior officials said, the regional FM players can provide better and more enhanced services to their customers. The workshop was inaugurated by the Vice-Chairman, Facilities and Property Management Community, Riyadh Chamber of Commerce and MEFMA Board Member, Arch. Mohammad K. Al Duraibi. In his keynote message, Al Duraibi stressed on the commitment of the Riyadh Chamber of Commerce, particularly its Real Estate Committee, in sharing important insights, feedbacks and recommendations that can help in the efforts to further develop the real estate industry. 'The overwhelming response that we have received from the participants has given us the confidence and security of the continued adoption of set international standards in FM, the continuous identification of the market's requirements, the strive to control the operations of FM companies, the further development of infrastructure and the unified efforts to improve the quality of services. Lastly, we remain fully committed in facing the challenges of the industry and ensure its further growth and development,' concluded Al Duraibi. The daylong event featured a panel discussion and a workshop covering timely industry topics like how to enhance the competitiveness of FM companies and how to build a strong presence within the target markets. Alsuwaidi lead the workshop entitled 'Entrepreneurship in Facilities Management,' which touched base on timely and important topics concerning today's FM industry, which include Basics of Entrepreneurship and its challenges; Facilities Management Sector and its Future; Creating successful strategies and its fundamentals; Risk management and sustainable growth; Real examples of entrepreneurs in the Facilities Management sector and Creating the equation of success. Meanwhile, the panel discussion that Alsuwaidi was moderating, featured the participation of Dr. Ayman Rashed AlShehri - Steering committee member of The National Training Center for Facilities and Hospitality Management (FHM); Majed Al Khalifa; Director of Market Development Dept., Monsha’at; Eng. Muhannad Saleh, CEO of Takamul Al Oula Facility Management (TOFM); and Eng. Mohammed Abdulhadi Al Qahtani, CEO, AJAR. MEFMA previously expressed its full commitment in the promotion of innovation and knowledge economy through its support towards viable projects and forging of key partnerships between the public and private sectors. It aims to raise the profile of the FM profession anywhere by widening FM’s influence on the health, safety, productivity, and wellbeing of people who utilize the built environment. MEFMA aims at unifying the Middle East’s FM industry by conducting research, providing educational programs and assisting corporate organizations in creating sustainable FM strategies.